NAGURU – Over 170 senior police officers have been reshuffled in the latest of the many shakeups of the police operations by Inspector General of Police Martins Okoth-Ochola. Most of the affected units include the Criminal Investigations Directorate, forensics, public relations and Parliament. 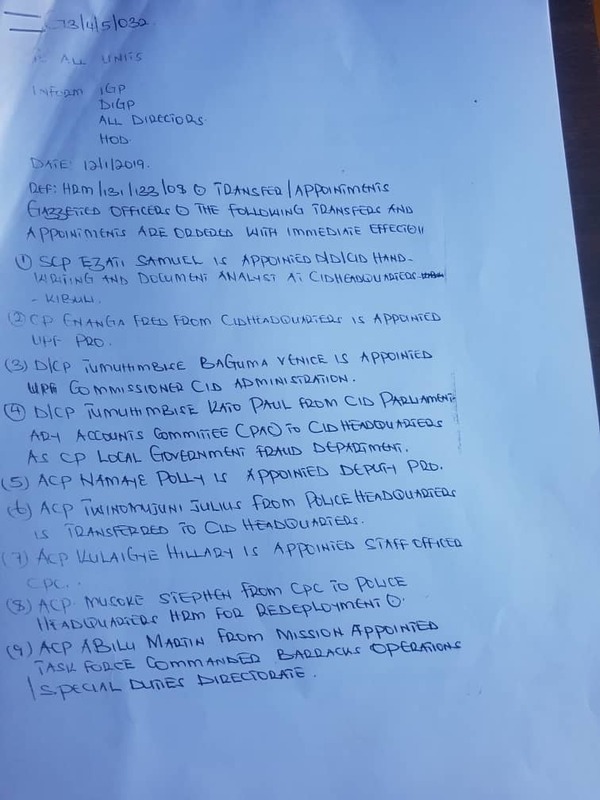 Among the changes is Flying Squad Commandant Peter Kakonge, who will now moves to the CID department of general crimes under the leadership of Francis Olugu. Godwin Tumugumye, who has been Kampala South criminal investigations officer, will take over the command of Flying Squad. Samuel Ezati, who has been the acting director forensic services, has been appointed deputy director CID in charge of documents analysis and handwriting. 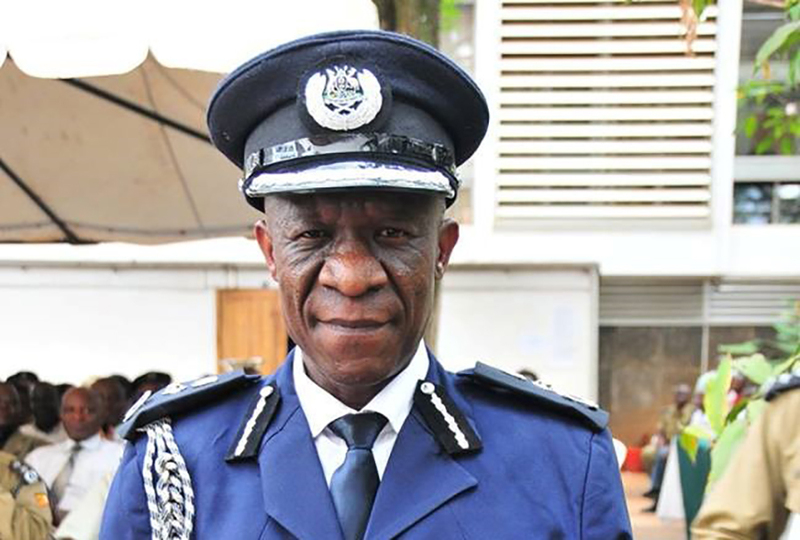 Apollo Kateba, the former Jinja regional police Commander, is now the acting commissioner private security and firearms. He replaces Hillary Kulayigye who has been appointed staff officer at the Directorate of the chief political commissar. Paul Kato Tumuhimbise, formerly with Parliament, is now the head of local government fraud department. Bushenyi Regional CID Chief Henry Mugumya has been appointed the acting commissioner of police media crimes. The reshuffles accompany those in the communication department where police spokesman Emilian Kayima Will be replaced by Fred Enanga. Kayima heads to the Directorate of chief political commissar as commissioner information and publication. Enanga, who has been the commissioner in charge of administration at CID, will be replaced by Venus Tumuhimbise Baguma. Patrick Onyango is the new Kampala Metropolitan Police spokesman, deputized by Luke Owoyesigyire, who has been in acting position.